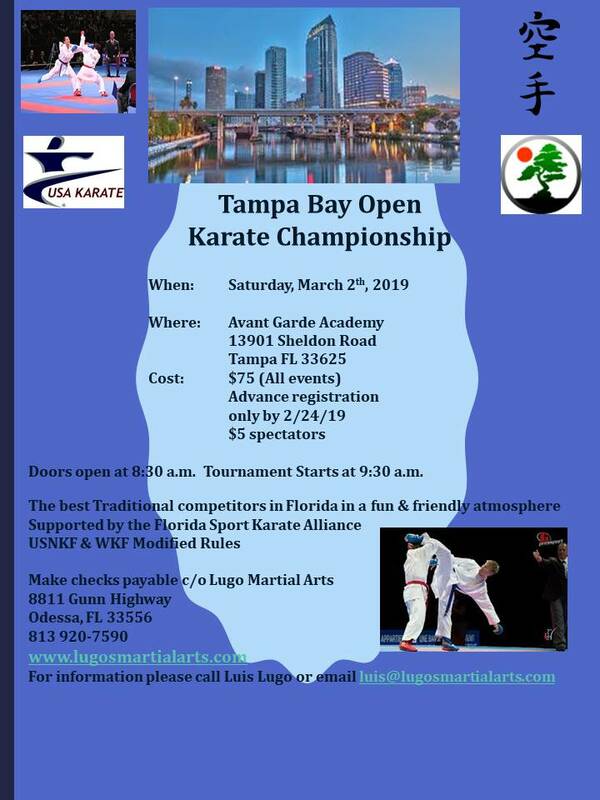 Join us Saturday, March 2, 2019 for the Tampa Bay Open Karate Championship. This karate tournament features the best traditional competitors in Florida in a fun and friendly atmosphere. Doors open at 8:30am and tournament starts at 9:30am. Cost is $75 (all events) advance registration by 2/24/19. $10 late fee will be added after this date. $5 fee for all spectators. To register for this tournament, please print and complete the following form and submit a deposit through our link below.